Earthwindmap/Click on image to enlarge. 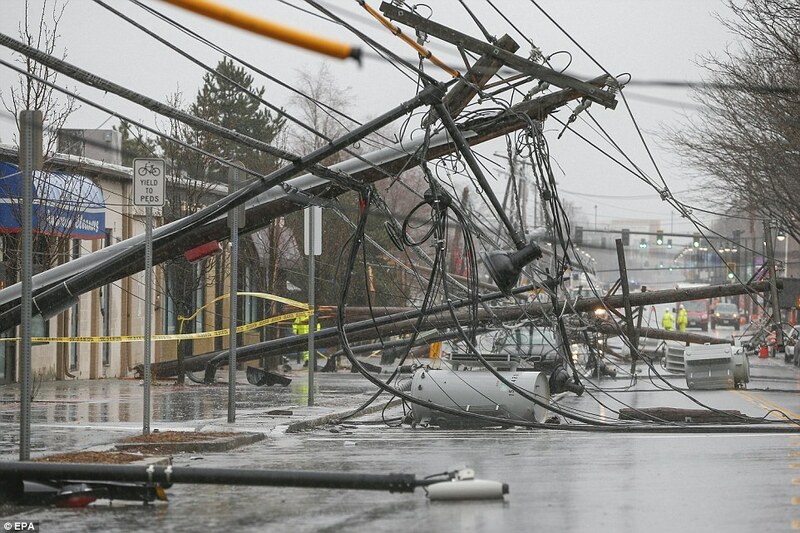 Almost 200 million battered by 2 storms on both sides of the Atlantic yesterday, a weather bomb smashed 70 million Americans along the northeast yesterday while more than 100 million people in Ireland, the UK and parts of Europe were battered by Storm Emma. Wild weather is causing chaos on both sides of "the pond" as Atlantic storms smash into the US and Europe. A bomb cyclone blasted the northeastern US with hurricane-force winds and severe coastal flooding while Storm Emma caused coastal flooding and buried entire communities in snow, causing travel chaos across UK and Ireland. In the US a powerful weather bomb cyclone slammed into the northeastern coast of the US leaving more than 2 million without power and causing 4,000 flights to be cancelled across the region with Amtrak suspending services due to the chaotic weather conditions. According to AccuWeather.com, some of the worst conditions were experienced from Washington, D.C., through Boston where winds frequently gusted between 60 mph and 90 mph, bringing down trees and power poles, some of which fell across highways or onto buildings. At least five fatalities have been reported amid the storm, including an 11-year-old boy who died after a tree fell into a home and a 77-year-old woman who was killed after being hit by a falling tree branch while checking the mail. The strong, onshore winds have caused significant coastal flooding in New England, particularly around Boston where the tide reached a height of 14.67 feet on Friday. This was the third-highest tide level since record began in 1928, according to the National Weather Service (NWS). Hurricane-force winds and flooding battered the northeastern coast while moisture from the Atlantic brought heavy snow inland. Snow totals of 10-20 inches were common from Buffalo to Albany, New York, and into northeastern Pennsylvania. The area hardest-hit by snow was just southwest of Albany where multiple NWS-trained spotters measured nearly three feet of accumulation. Meanwhile, Emma continued batter Britain with more than 50cm's of snow in some areas and spring tides and high winds causing coastal flooding. 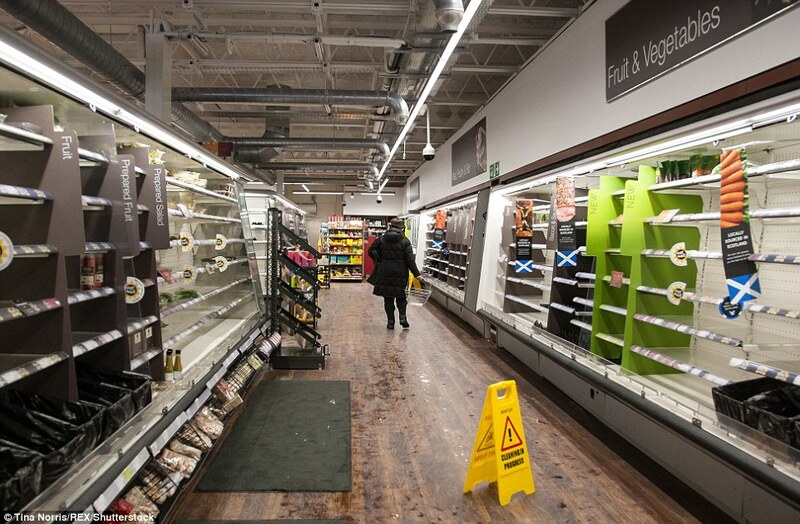 Shelves in British supermarkets are empty after a run to stock up by shoppers before the storm, credit Tina Norris/ Rexshutterstock. 53 areas across the UK were told by the MET Office to prepare for flooding as Storm Emma brings rain and the incredible amount of snow around the country begins to melt. Nearly 100 deaths have been reported across Europe after "The Beast From The East" plunged the continent into record cold.